A.Saks On The Go™ was created for the consumer who wants the most expandable, lightest luggage in the world. With all the new airline restrictions, between the weight issue and the size issue, A.Saks™ is the only way to go. 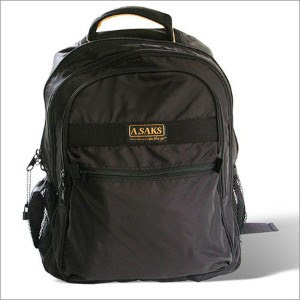 A.Saks On The Go is the most versatile, lightweight, expandable luggage in the industry. Many styles, shapes and sizes to choose from, and all come with a 3 year limited warranty. The owner of EWS Incentives, who distributes A.Saks On The Go™, has retail stores and has been in the business all his life. Fastex clasps are included on every bag's handles for easy transition to a shoulder strap. All bags have generous pouches and collapse into themselves for easy. A.Saks On The Go™ is a new revelation in the luggage industry. Their new expandable series is made of 420 Denier Nylon, making it so lightweight it is almost weightless. It is made of very durable 420 denier nylon. Not only is it able to withstand heavy use, it is also water resistant. All of A.Saks bags are made with #10 retractable zippers making expanding and compressing each bag to be a snap.